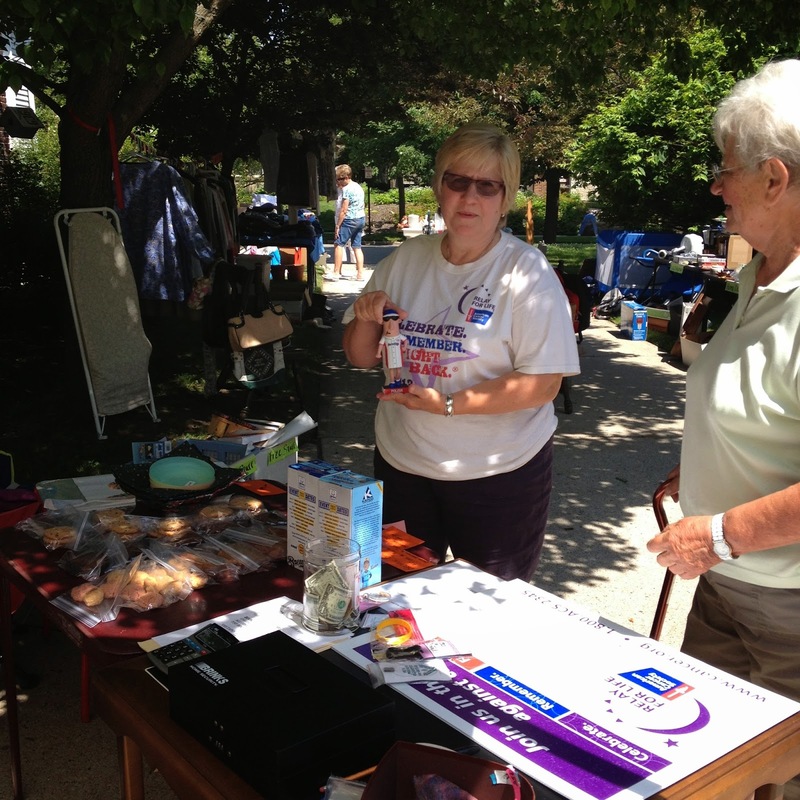 This past Friday and Saturday my family held a yard sale as a fundraiser for our Relay For Life team. 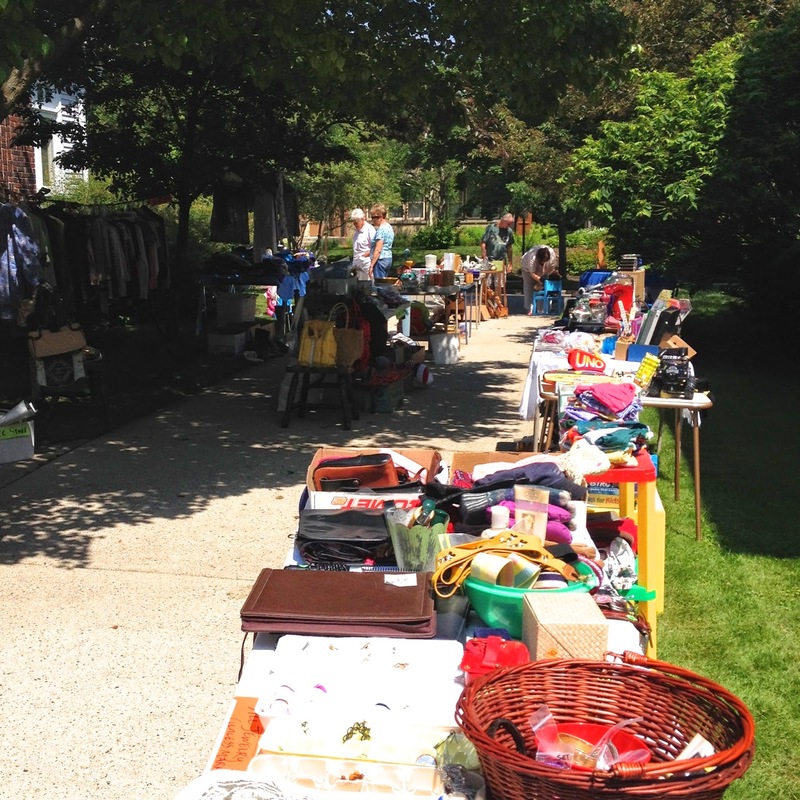 This is the first year we held a yard sale to raise funds and it was a success! This is our fourth year participating in Relay For Life of West Bend as a family. 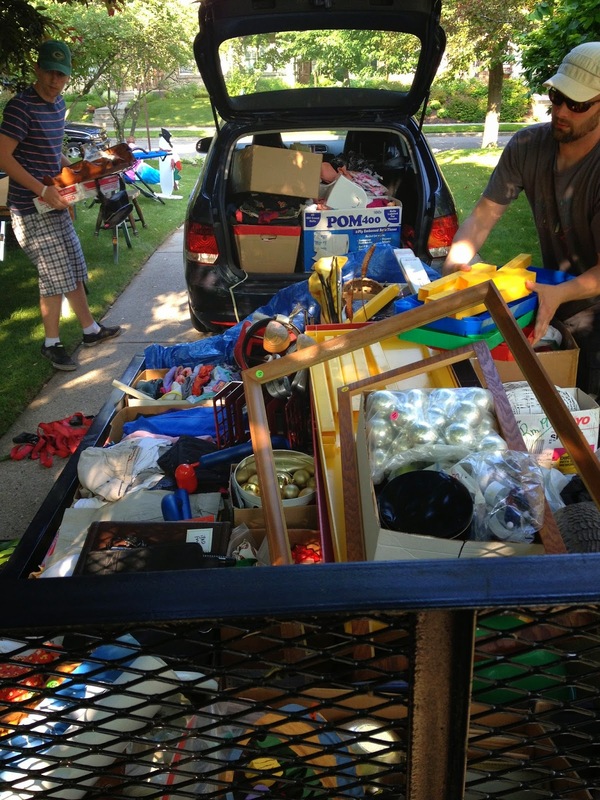 A few months ago we sent emails to our extended family and friends asking them to donate rummage items for the sale. People were so generous - they donated more boxes of items than we could count. Two weekends ago my mom and I organized all of the items in our garage so it'd be ready by the time this weekend rolled around. 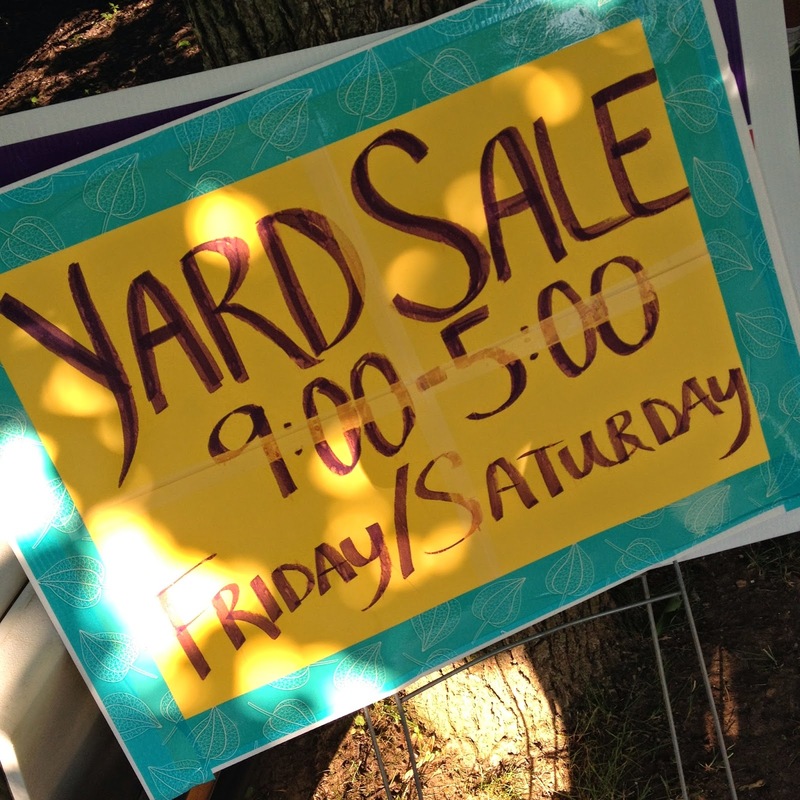 I've never hosted a rummage sale before, so I didn't realize how much time and effort it would take to organize one from the ground up. 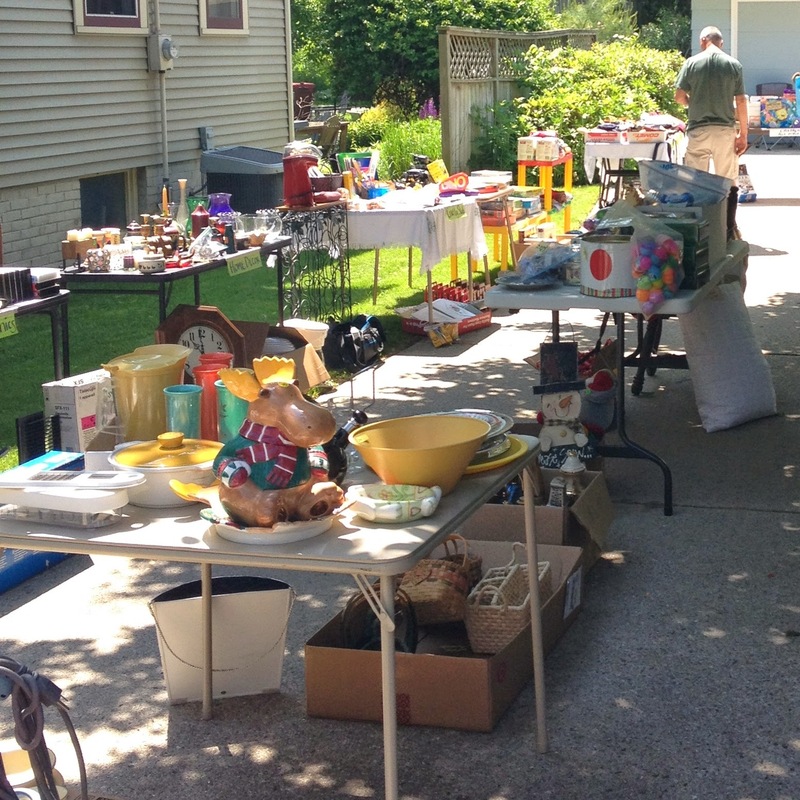 I have a new found respect for people who hold rummage sales every year (seriously, how do you find the time & energy to do it?). Matt and I, my mom, my grandma and my brothers and their families all helped out with the sale. 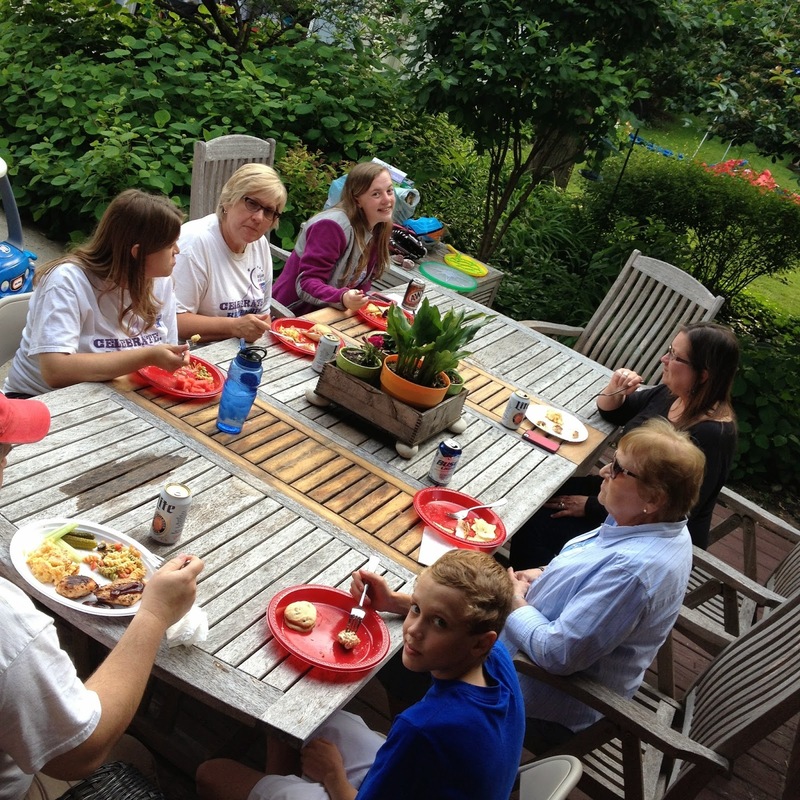 We all took turns moving the tables in & out of the garage to the driveway, handling the cash, organizing the goods, watching the kids and cooking meals for the group. My niece Bella sold crafts that she made. 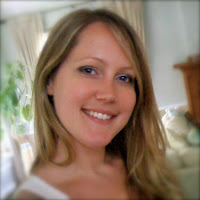 And my other niece Caroline & my brother's fiancé sold baked goods for some extra $. We posted signs at 7 different locations in our neighborhood. 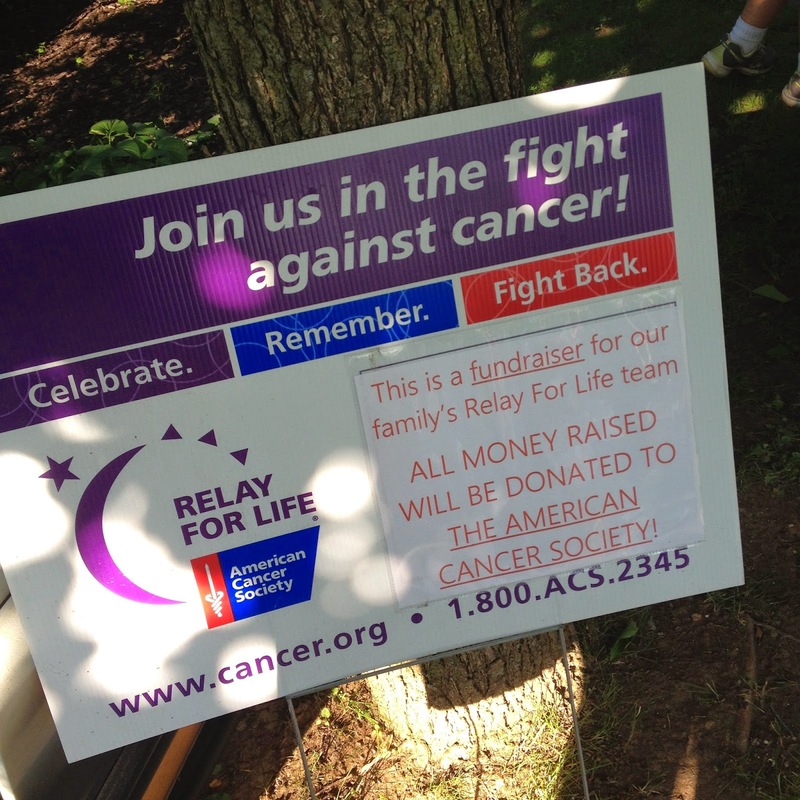 All of the money we raised will be donated to the American Cancer Society. 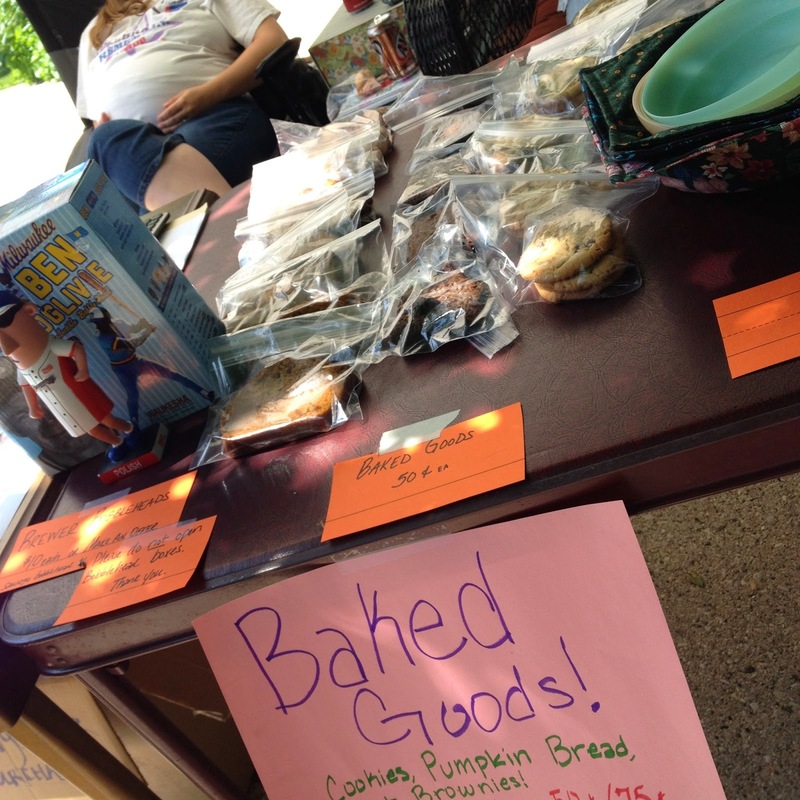 Most people who bought items also bought some baked goods. 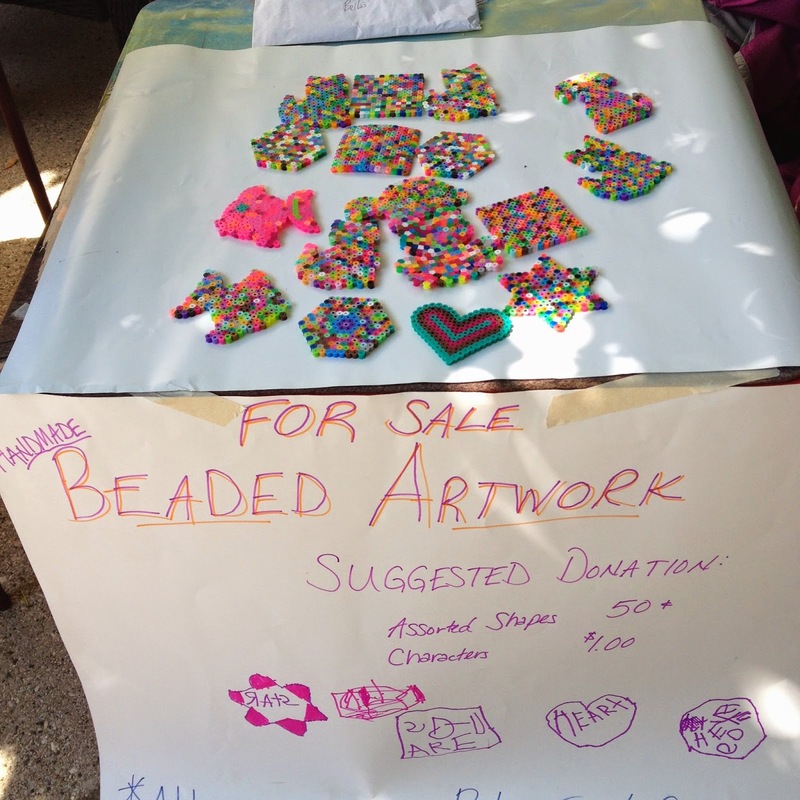 My five-year-old niece raised $21 selling her beaded artwork! 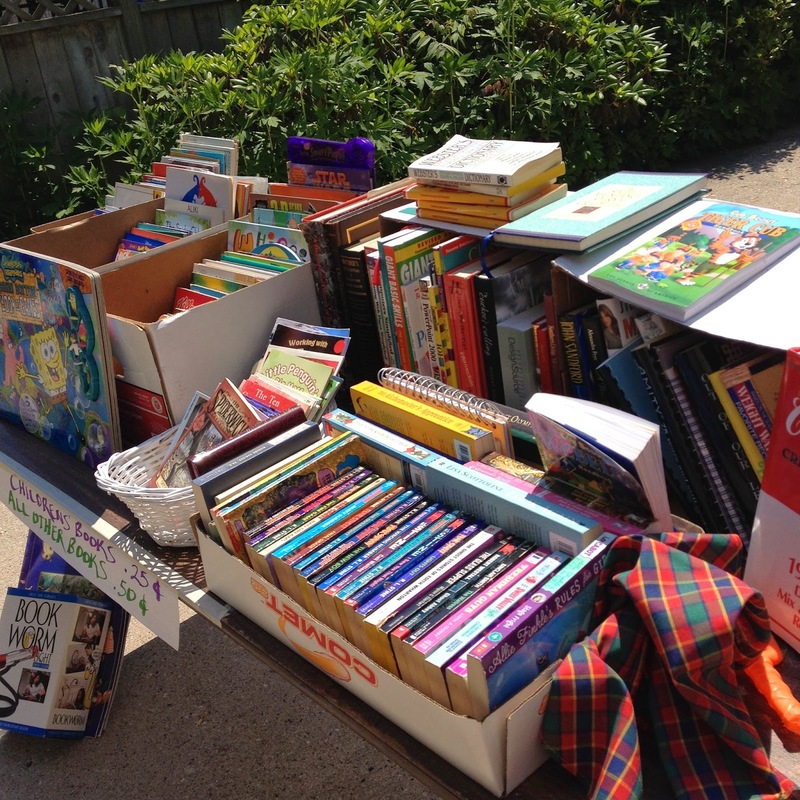 Childrens' books (most were donated by my mom's friend) were a hot seller. My mom modeling a Brewers bobble head. 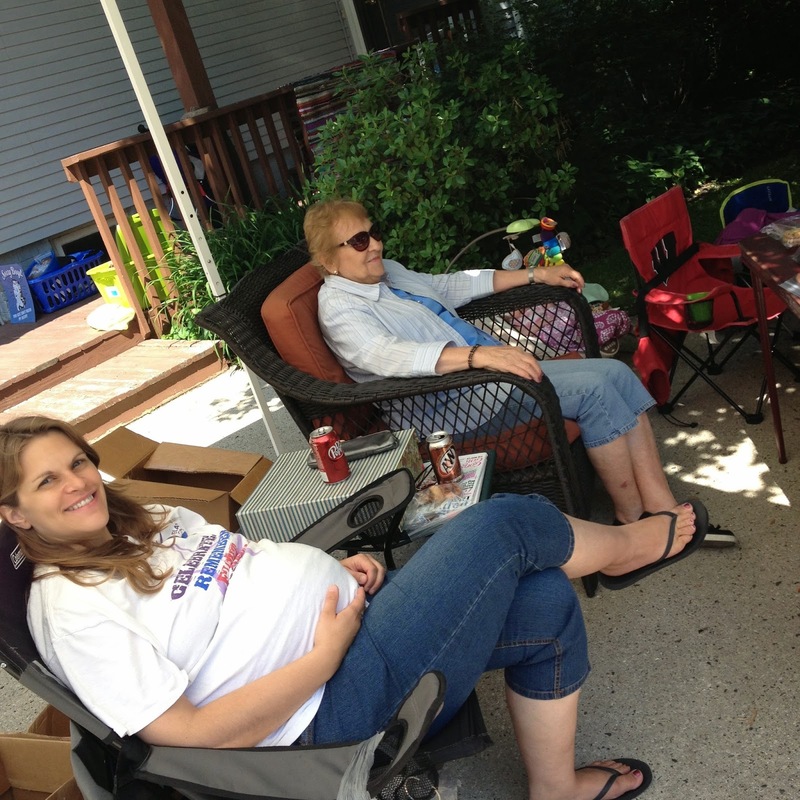 My sister-in-law and grandma keeping an eye on the sale. What's a yard sale without a moose cookie jar? 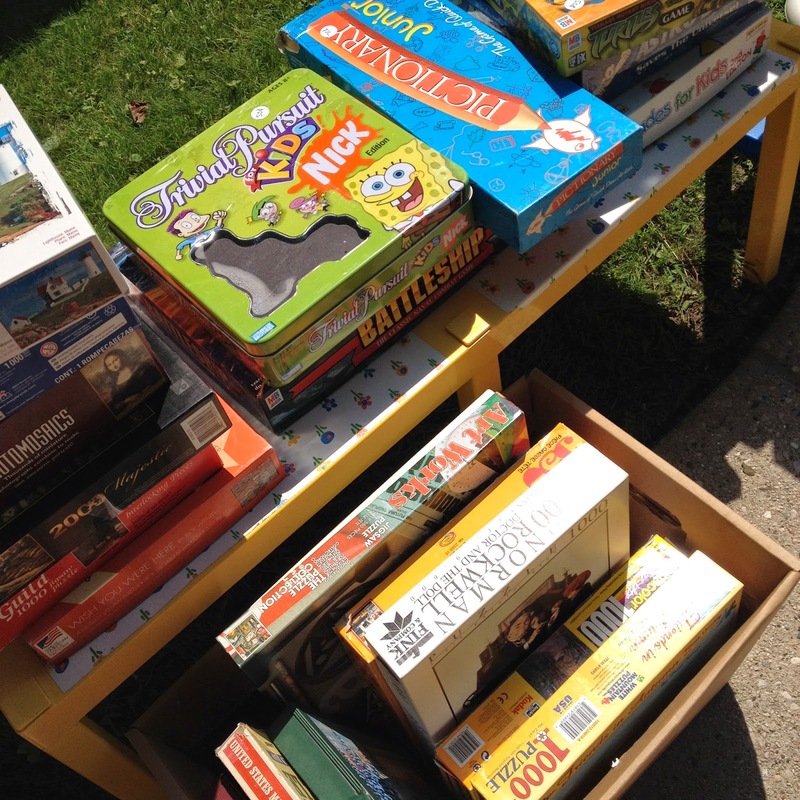 Board games and puzzles were also hot sellers. Chloe was in charge of the whole thing. She just sat there and told everyone what to do. 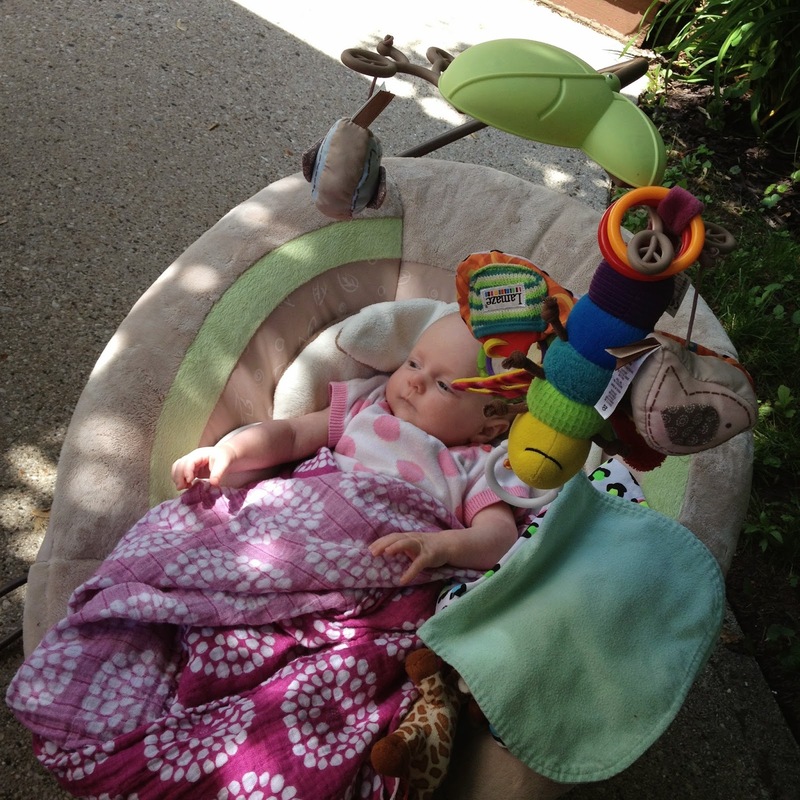 She was so bossy and controlling. 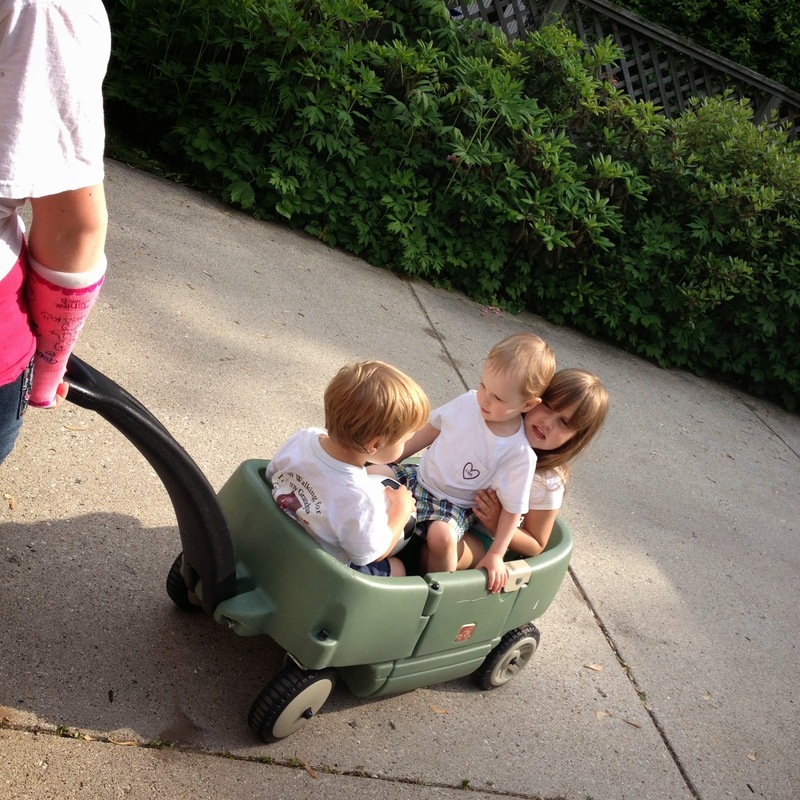 Liam had a blast playing with his cousins for two days straight. 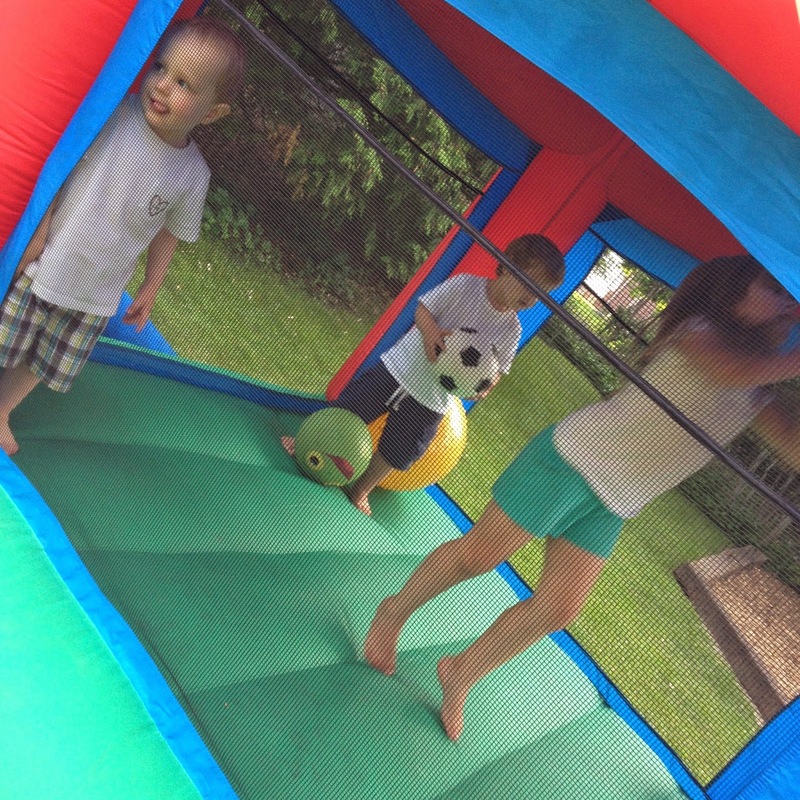 The bouncy house came in handy. 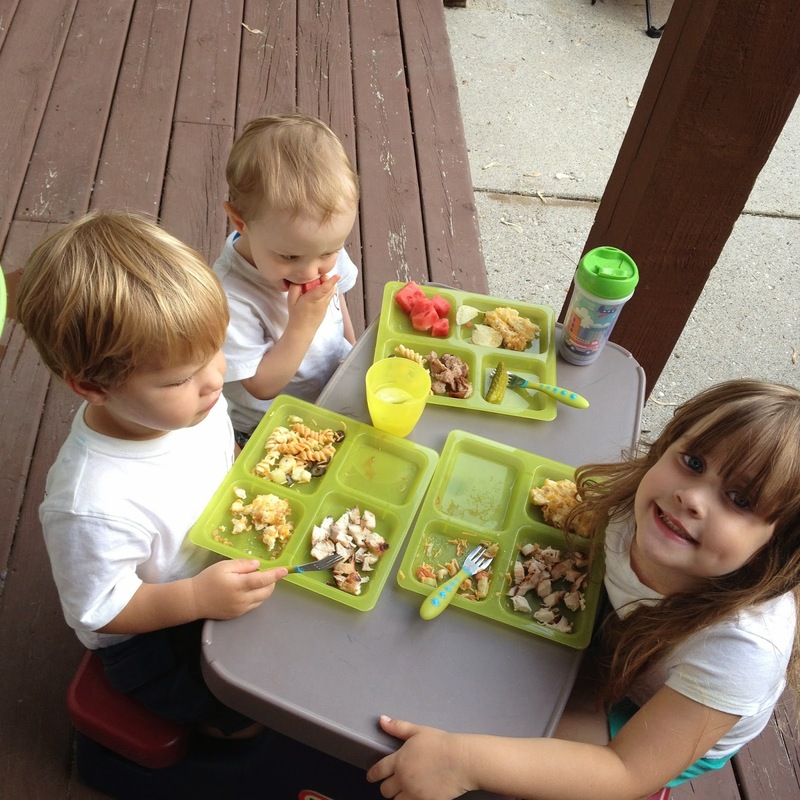 ....we enjoyed meals together as a family. and donated them to charity. It was hard work preparing for it, but it was totally worth it in the end. We raised a total of $609.75 in two days. Pretty good, considering most items were 25 or 50 cents!